In Gujarati, Khandvi and in Marathi, Surali Chya Vadya, a famous Western Indian dish. 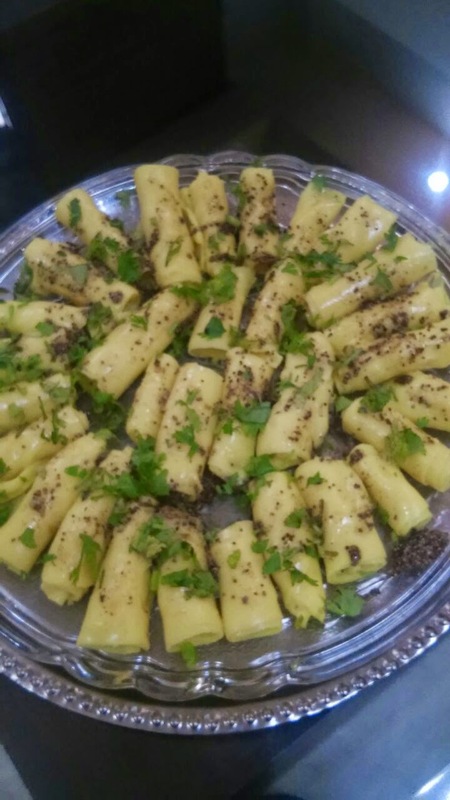 Khandvi is very popular among the Gujartai's. Nobody not even me can hide their love towards this delicious dish. 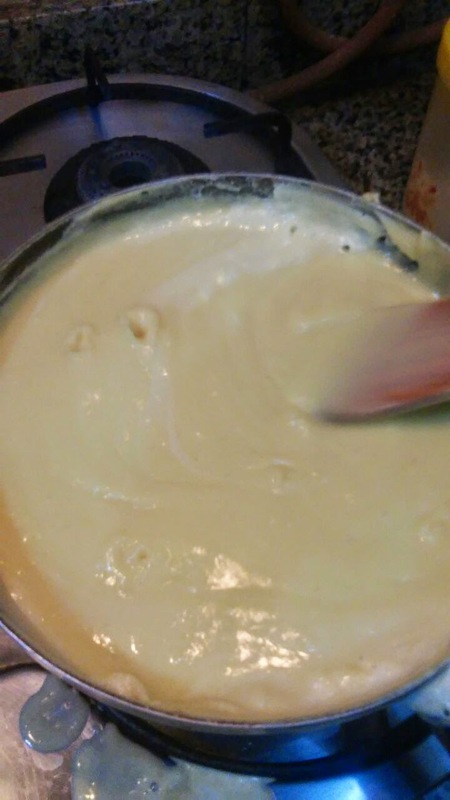 A friend (Karishma Rastogi) shares her Recipe and believe me its a delicious savoury. Simple and easy to cook. The time one needs to be really careful is when one has to fold these little sheets. Its a real test on ones patience. My patience was at test! 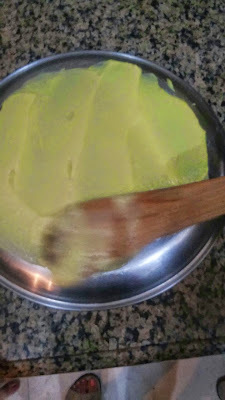 In a bowl add Curd, Water, Gram Flour (Besan), Flour (Maida), Salt and Turmeric powder (haldi). 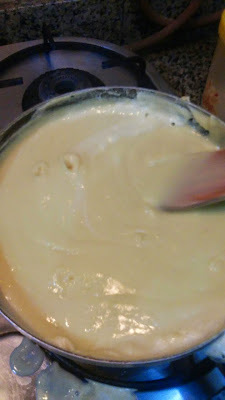 On a high flame keep stirring continuously till the mixture begins to thicken in the pan. Grease a Thali (plate) and pour the mixture immediately over the back of a thali cover or any smooth surface and spread evenly. Let it now cool. In another pan, heat some oil, add Mustard seeds, Black pepper and sprinkle over it over the mixture you spread on the Thali (plate). Now starts the difficult part - Cut the spread in 2 inches like Bread pieces and roll them. Garnish with Grated Coconut, Chopped Corriander leaves and Chopped Green Chilli. Serve warm or you can also keep it in the refrigerator and serve when your guests arrive.